All image credits: NASA web site. European Space Agency astronaut Samantha Cristoforetti (twitter: @AstroSamantha) took this photograph of the island of Hawaii and posted it to social media on Feb. 28, 2015. Cristoforetti wrote, “And suddenly as we flew over the Pacific… the island of #Hawaii with its volcanoes! #HelloEarth”. Mauna Kea, the highest point of the island with 4,205 m (13,796 ft) is the closest volcano to us in the photo. Considered the largest volcano on Earth (both by mass and by volume, despite ts peak is about 120 feet/37 meters lower than that of its neighbor, Mauna Kea), the Mauna Loa is also clearly visible. NASA astronaut Scott Kelly aboard the International Space Station on May 8th, 2015 captured this image in the United States southwest area of lower Lake Powell, Glen Canyon, Utah. It is a reservoir on the Colorado River, straddling the border between Utah and Arizona (most of it, along with Rainbow Bridge, is in Utah). It is a major vacation spot that around 2 million people visit every year. It is the second largest man-made reservoir by maximum water capacity in the United States behind Lake Mead. New York is pictured here as seen by the crew of Expedition 43 aboard the International Space Station on May 23, 2015. NASA astronaut Scott Kelly tweeted this image out. With no clouds in the sky, all important features including Manhattan and the Central Park of New York are highly visible. 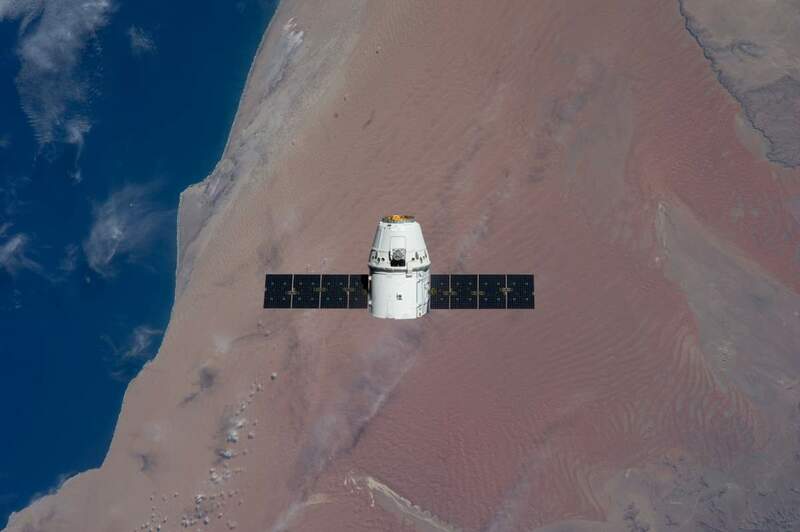 This is really good, a spacecraft photographed from another spacecraft with the Atlantic coast of Namibia (Africa) is at the background. Dragon is a spacecraft developed by SpaceX, an American private space transportation company based in Hawthorne, California. In this photo, it approaches the International Space Station on May 25, 2012 for grapple and berthing. Expedition 31 Flight Engineers Don Pettit and Andre Kuipers grappled Dragon at 9:56 a.m. (EDT) with the Canadarm2 robotic arm and used the robotic arm to berth Dragon to the Earth-facing side of the station’s Harmony node at 12:02 p.m.
Adele Island is an island located in the Indian Ocean approximately 104 kilometres (65 mi) North of Bardi off the Kimberley coast in Western Australia. I is only 2.9 km (2 mi) long, but the entire tidal zone with all the concentric zones is 24.5 km (15.2 mi) long, surrounded by extensive sandbanks in the tidally exposed area. The modern island is the dark central area, made up of a series of beach ridges built by sands from the surrounding sandbank during storms. The highest point is little more than 12 feet above sea level on this grassy but treeless island. A solar-powered lighthouse appears as a tiny white dot in the high-resolution image at the north tip of the island (arrowed). The island has been classified as an Important Bird Area because it is a breeding site of world importance for Lesser Frigatebirds and three other species. Efforts are under way to clear the island of Polynesian rats that are a constant threat to the seabirds. 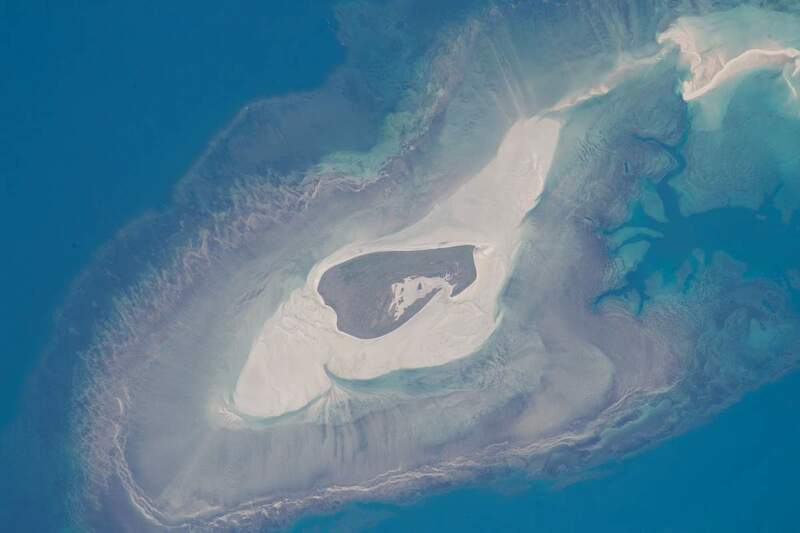 Shallow water surrounding the island is light blue, compared with the deeper open ocean (upper left, lower right). During times of low sea level (repeatedly during the glacial stages of the past 1.7 million years), the entire platform and surrounding zones would have been dry ground—so that astronauts would have seen a much larger island occupying all of the image. Lines on the wide platform around the island, at right angles to the shoreline, are the probably produced by the high tides (~20 feet, 6.3 m at nearby Browse Island), as water floods towards the island, and then ebbs back out to sea — a “radial” pattern common on islands in this part of the world. Wave and tide movements give different sand patterns on opposite sides of Adele Island probably because of very different slopes. The steeper eastern shore shows tightly packed parallel lines of white sand (bottom of the image), perhaps as a result of wave action concentrated in a narrow zone on this steep slope. The same sandy material displays a V-shaped pattern on the west side (image top left) possibly due to greater in-out tidal movements on this gentler slope. 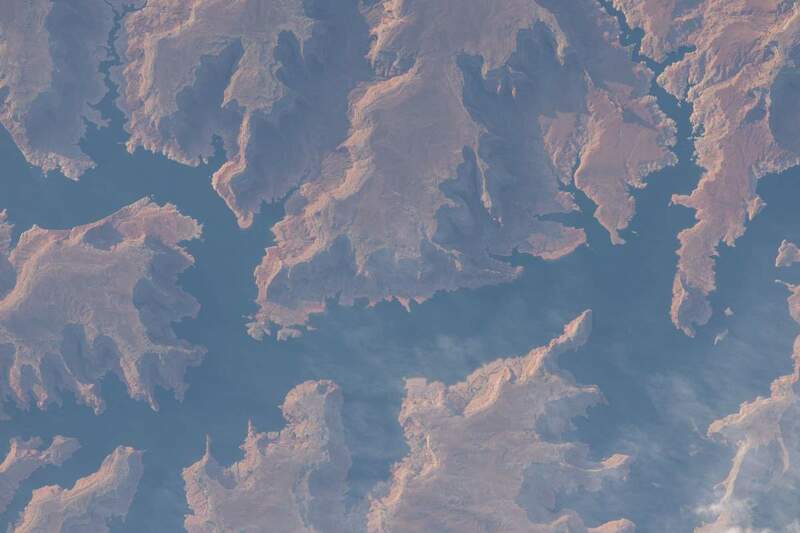 This detailed image of a the island has been taken on June 11, 2015. NASA astronaut Scott Kelly (@StationCDRKelly) captured this photograph of the green lights of the aurora from the International Space Station on Oct. 7, 2015. Sharing with his social media followers, Kelly wrote, “The daily morning dose of #aurora to help wake you up. #GoodMorning from @space_station! #YearInSpace” An aurora, sometimes referred to as a polar light, is a natural light display in the sky, predominantly seen in the high latitude (Arctic and Antarctic) regions. Auroras are produced when the magnetosphere is sufficiently disturbed by the solar wind that the trajectories of charged particles in both solar wind and magnetospheric plasma, mainly in the form of electrons and protons, precipitate them into the upper atmosphere (thermosphere/exosphere), where their energy is lost. The resulting ionization and excitation of atmospheric constituents emits light of varying color and complexity. The form of the aurora, occurring within bands around both polar regions, is also dependent on the amount of acceleration imparted to the precipitating particles. Precipitating protons generally produce optical emissions as incident hydrogen atoms after gaining electrons from the atmosphere. Proton auroras are usually observed at lower latitudes. 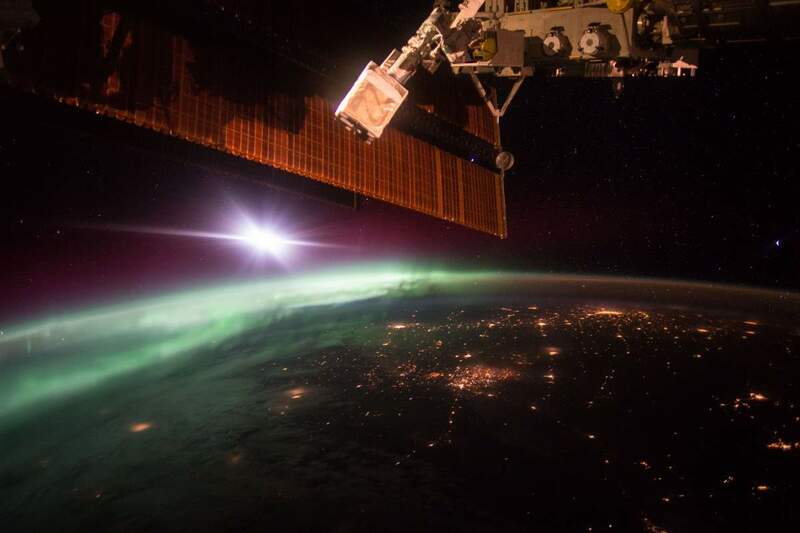 NASA astronaut Kjell Lindgren took this photograph on Nov. 11, 2015 from the International Space Station, and shared it with his followers on twitter. Lindgren wrote, “The delicate fingerprints of water imprinted on the sand. The #StoryOfWater.” The area photographed is located in Oman, approximately 20 km to the west-northwest of Hamra Al Drooa. 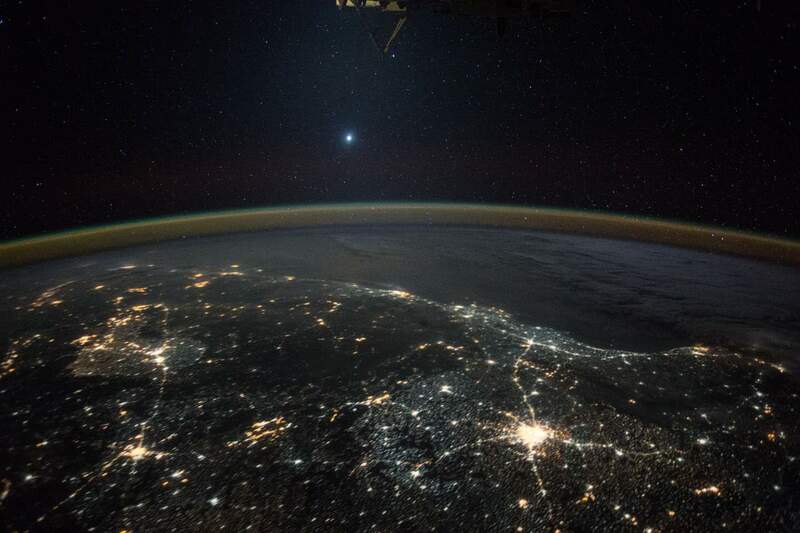 On Dec. 5, 2015, Japan Aerospace Exploration Agency (JAXA) astronaut Kimiya Yui captured this image from the International Space Station of the planet Venus shining bright. Part of the station’s Kibo laboratory with the star Spica visible below is seen at the top of the frame. At the time this photograph was taken, Japan’s Akatsuki spacecraft, a Venus climate orbiter, was nearing the planet. At about 7 p.m. EST on Sunday, Dec. 6, the Institute of Space and Astronautical Science (ISAS) at JAXA commanded Akatsuki to fire four thrusters, which successfully nudged the spacecraft into an elliptical orbit around Venus. This JAXA mission is being celebrated by NASA scientists, eager to learn more about the atmosphere and climate of Earth’s enigmatic sister planet. Akatsuki is the first spacecraft to explore Venus since the European Space Agency’s Venus Express reached the end of its mission in 2014.